Read about what makes Bridal Final Touch & Wedding House unique. Bridal Final Touch & Wedding House offers dozens of ways to customize your beautiful wedding gown. We specialize in adjusting sizes, changing necklines, adding to sleeves, shortening the gown, as well as customizing your gown&apos;s train. We can also add a bustle to your gown&apos;s train and make it more manageable during your reception’s special dance. However, we go further than providing alterations. Bridal Final Touch & Wedding House offers a new way to plan a wedding or event. By bringing together brides and event vendors under one roof, our team saves you time, money, and stress. We help new and old generations alike create a memorable celebration. 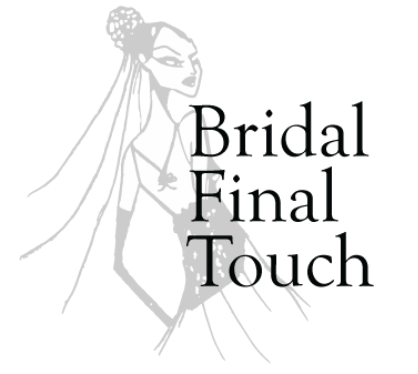 Bridal Final Touch is here to make your special day wonderful and manageable. Bridal Final Touch & Wedding House is going to provide the convenience of having everyone in the same place and same time. We have different locations where you meet us to discuss all your wedding or event dreams. We accommodate both the client and vendors for a smooth planning process. arrangements and table settings, we set-up all your vendor appointments and make the process as quick and easy as possible. We are at your side to work with you and your choice of vendors until you are completely satisfied. We accommodate your hectic schedule and make sure you get the service you signed up for. We take pride in working with local vendors with great reputations. Tede Zerhioun has been in the wedding business for the last 15 years and has worked with the second largest wedding company in the Bay Area. Tede Zerhioun attended fashion design college at Canada College (Redwood City College) for two years in order to further her education in fashion and business. Tede also contracts with the 2nd-largest wedding gown store in the SF Bay Area customizing and modifying wedding gowns. During her professional experience, Tede has watched countless clients go through the stressful process of planning a wedding or event. When asked about the most frustrating part of planning an event such as a wedding, most clients told Tede that finding high-quality vendors is a difficult and time-consuming task. Tede recognizes that today&apos;s brides, grooms, and event hosts commute long distances and work long hours. The time it takes to see each prospective vendor at different locations can be exhausting. Unfortunately, family and friends aren&apos;t always close enough to assist with wedding or event details. Tede created Bridal Final Touch & Wedding House to save brides, grooms, and event hosts from the frustration, disappointment, financial cost of planning a wedding or event without help. Whether small or big, weddings and special events should be free of stress and filled with great memories to share with your friends and family.